Some poisons, like toxic air pollution, you can limit your access to, but you ultimately can’t control how they affect your brain. In this article, we will discuss five things that you can control that could poison the cells of your brain. Environmental factors, chemicals, and ingredients used in the manufacturing, packaging, and producing the goods that we consume daily are poisoning our brains. Knowing about the unhealthy effects of these five things that harm our precious brain cells is important for our well-being. 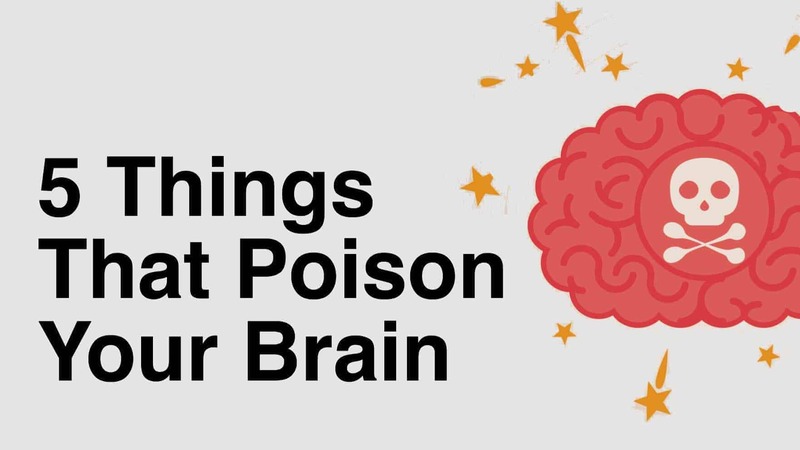 Let’s look at five things that can poison your brain’s ability to function t its full capacity. Once you know what to look for, you can choose to avoid these five harmful things. Check the ingredients in foods you consume, products that touch, or that go in or on your body. Think about things that you normally don’t consider, like your lip balm. We eat about 3.7 lbs of lip balm or lipstick over the course of our lifespan. Are there parabens or other harmful chemicals in the products you accidentally ingest into your body that can poison your brain? Avoiding unhealthy chemicals is easier than ever. Use the Healthy Living app on your cell phone to scan the barcodes of products you use daily. The app will show you the amount of allergy-inducing, cancer-causing, and reproductive health-harming ingredients and the amount of research available on each one in the products that you buy. Choosing products lower in these brain poisons is also something that the app can help you with. Noise pollution can come from so many sources; things you never noticed are actually sending high-pitched whining noises to you. These can be fluorescent lights, air conditioning or heating units, appliances, clocks, and anything that is not a sound from nature can poison your brain’s ability to think clearly. Even things that cannot be heard like the radiation from your cell phone, the radio waves, cable, and digital satellite TV waves that are being sent and received in our homes and businesses are unheard noise or wave pollution. Although we cannot detect these waves as sound, it is possible that our bodies are capable of sensing them. You get a feel for this when you can completely unplug in the wilderness. There is no background ‘hum’ of civilization to distract and poison your brain. You don’t have to say goodbye to your beloved coffee, but we might suggest that you do a test without caffeine for a short period of time to see if it is one thing that is poisoning your brain. If you might have a problem with anxiety, skip the coffee, tea, and sodas containing caffeine. You might notice a difference in your ability to move gracefully, and improve your sleep when you eliminate this chemical. Sugar-free was exciting when it first came to a grocery store, but by now we know that fake sweeteners are real poison for our brain. Aspartame was found to have a decline in cognitive performance for some subjects in a research study. Aspartame is also linked to concerns about increasing seizure risk in those who are already susceptible. Sugar tastes sweet but it’s not something we have evolved to handle in non-fruit or honey forms. Refined sugars have been linked to bad memory, poor cognitive performance, and decreases in brain growth hormone. Refined sugar is also linked to increased inflammation. 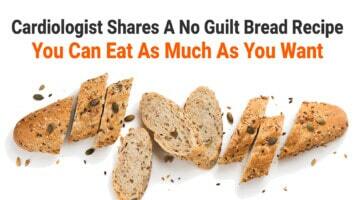 The inflammation from this brain poison occurs in the digestive system. Chronic digestive inflammation is also associated with the mood disorders schizophrenia and depression. Refined, processed, bleached sugar is poisoning your brain. A study of a diet high in sugar has been linked to poor short-term memory functioning. People who ate a high-sugar meal had problems remembering what they had eaten before. Flouride has been a controversial additive to our drinking water ever since municipalities decided that it was better for the public’s health to add the chemical than to not add it. Look for non-flouridated water filling stations at your local store or try a filter. Reverse osmosis, a deionizing filter, or an activated alumina filter can all remove around 90% of the fluoride in tap water.